Ring Power&#39;s machine shops keep your heavy equipment, construction machinery and engines running longer. 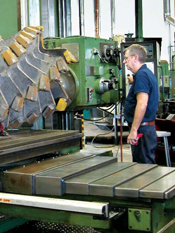 Ring Power Machine Shops keeps engines, machines and construction equipment running longer. Ring Power’s in-house Machine Shops specialize in all aspects of maintenance that get your machine’s components, heavy equipment or construction equipment running longer and better. We operate two full shifts, without overtime charges from our two largest Florida locations in Tampa and St. Augustine. It doesn’t matter which brand of heavy machinery you own—John Deere, Hitachi, Case, Komatsu, Volvo, Cat, or Bobcat—repairing construction machinery, heavy equipment and industrial engines is our business. Let us show you the Ring Power product support difference. Quality tools. Reliable services. Fast turn-around. That's the Ring Power difference. A good planned maintenance for your heavy construction equipment can lower your machine&#39;s cost per hour. In terms of construction equipment management, preventive maintenance is the key factor that has the greatest effect on your profits over the life of your heavy equipment. It is estimated that system contamination is the leading cause of more then 70% of hydraulic system and major component failures. When heavy machinery is well maintained and inspected regularly, there’s a higher probability that potential problems will be caught early—before they turn into bigger, more costly issues. According to Caterpillar’s SOMA (Site Operation Maintenance Advisor), major component life can be increased by 62% simply by improving maintenance practices from average to excellent. Consider your current preventive maintenance practices and service needs and ask yourself, “Who is best qualified to provide these services?” As your Caterpillar® dealer, we are convinced that Ring Power’s Planned Maintenance Solutions can meet your maintenance needs in the most timely, efficient and cost-effective manner. Planned Maintenance Solutions is more then just an oil and filter change for your construction equipment. It is a maintenance management system, designed to incorporates seven elements that are essential to keeping machine productivity high and owning and operating costs low. 1) Preventive Maintenance is the basic requirement of a good construction equipment maintenance program, and includes regular oil and filter changes as outlined in the manufacturer’s lubrication and maintenance manual. 2) Oil Sampling lets you know what is going on inside your machine. When tested at regular intervals, oil samples can forecast wear-related problems and keep minor problems from becoming a major failure. PM Solutions will sample each compartment every 250 hours. Ring Power's oil testing lab technicians and product support staff closely monitor the oil sample results. Actionable oil samples are transmitted electronically to your PC, laptop or Blackberry so we can respond to potential problems quickly. 3) Inspections can detect problems that may otherwise go unnoticed. Small problems like oil leaks, worn belts or corroded batteries can lead to expensive downtime if not corrected in a timely manner. All inspections are written, reviewed and sent to you within 24 hours of when the service is performed. 4) Scheduling ensures all maintenance and inspections are performed on time, and at your convenience. PM Solutions operates 24 hours a day, seven days a week so maintenance will be performed around your work schedule. 5) Record Keeping documents machine repair history with details of component life and cost. 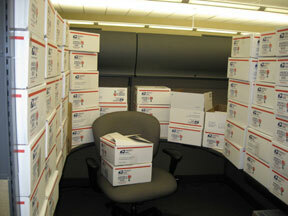 Good record keeping helps identify problem areas that create high cost and downtime. 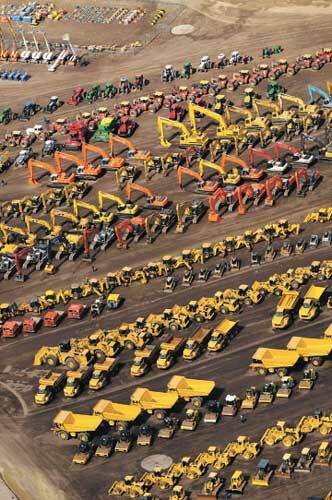 6) Repair Management is about maximizing the value of your heavy machinery investment. Oil sample trends, machine hours and condition are vital information in the decision making process of whether to repair, rebuild or replace your machine. Ring Power knows your equipment best. As a trusted advisor, we’ll be here over the life cycle of your machine. We’ll partner with you to maximize the value of your equipment investment and strengthen your reputation as a profitable operation. 7) Training helps your associates develop good daily work habits. As your maintenance provider, Ring Power is ready to fill the gaps by providing on-site training for your machine operators and maintenance personnel. • Cost per hour billing that matches your expense with your workload. Only pay for the hours you have run your heavy equipment. • ProductLink hardware and Equipment Manager software enabling remote equipment monitoring from your desktop. (supplied on most current models). Preventive maintenance for your construction machinery delivers positive results—no matter how many machines you operate, how old your equipment is or what type of work you do. The key is to structure a PM program that meets all your business objectives, including productivity and cost goals. You manage your business from design to build—we will manage your construction equipment and cost per hour. Call your Ring Power Product Support Sales Representative today 877-733-5120 to find out how PM Solutions can benefit your heavy construction equipment and improve your bottom-line or click the button below to contact a representative. Ring Power Corporation, North and Central Florida's Caterpillar dealer, is headquartered in St. Augustine, Florida, with branch locations in Brooksville, Daytona, Gainesville, Jacksonville, Lake City, Lakeland, Ocala, Orlando, Palm Bay, Perry, Sarasota, Tallahassee, Tampa and Tarpon Springs. Ring Power is comprised of eight divisions and has more than 45 years of experience selling, servicing and supporting Caterpillar and allied equipment. 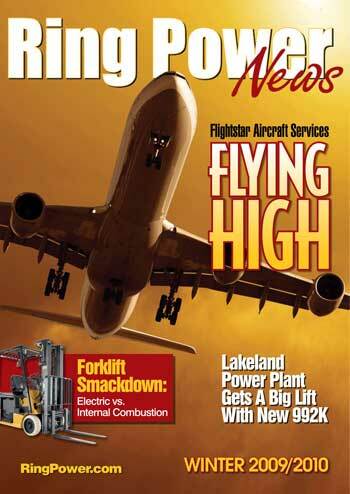 Ring Power’s All Parts eXpress, the one stop source for all makes of heavy equipment parts, has launched a new Website. Now owners of John Deere, Case, Hitachi, Gehl, Volvo, Bobcat, Komatsu, Kobelco and other leading brands of construction machines have parts availability and quotes at their fingertips! Whether you own a John Deere® tractor, Hitachi® front-end loader, Case® dozer, Volvo® articulated truck, Bobcat® skid steer, Komatsu® tractor, or a Kobelco® excavator, ApeX can get you the parts you need—and fast! APeX offers the best quality rubber tracks, starters and alternators, hydraulic seals, cylinder seal kits, pumps and components, ground engaging tools, replacement parts, engine, transmission and final drive components, and more—all at the best possible prices, and most backed by warranty. As an undercarriage and parts specialist, Brian Beatty makes it his mission to provide the best quality construction equipment parts to Ring Power customers, regardless of brand. "Ring Power’s partnership with VIPAR gives us access to discounts on many parts and components that can be used on most heavy equipment," Beatty explains. "If a customer needs parts, chances are we have it in stock or can locate it quickly, either through the VIPAR network, or our other reliable sources, and all for a great price." ApeX takes pride in supplying the best quality replacement parts. If you need it, we can find it. Quickly and economically. Log onto http://allpartsxpress.com/default.aspx today and explore our new Website. Or contact Brian Beatty at 1.800.671.0025 or via email at brian.beatty@ringpower.com for information about the parts you need, no matter what make your machine is! All Parts Express has parts for heavy construction equipment owners throughout Florida, with branch locations in Brooksville, Daytona, Gainesville, Jacksonville, Lake City, Lakeland, Ocala, Orlando, Palm Bay, Perry, Sarasota, Tallahassee, Tampa and Tarpon Springs. We welcome your comments about this article. “CAT®”, “Caterpillar®” and CAT Corporate Yellow are all trademarks of Caterpillar Inc. The trade names “John Deere®” and “Deere®”, and the John Deere logo are all property of Deere and Company Inc. The trade names “Hitachi®” and the Hitachi logo are all property of Hitachi Construction Machinery Co., Ltd. The trade names “Volvo®” and the Volvo logo are all property of The Volvo Group. The trade names “Komatsu®” and the Komatsu logo are all property of Komatsu America Corp. The trade names “Bobcat®” and the Bobcat logo are all property of Bobcat Co. The trade names "Takeuchi®" and the Takeuchi logo are all property of Takeuchi Mfg. Company Ltd. The trade names "Gehl®" and the Gehl logo are all property of Gehl Co. The trade names "Case®" and the Case logo are all property of CNH America LLC. The trade names "Kobelco®" and the Kobelco logo are all property of Kobelco Construction Machinery America LLC. The trade names listed above are used for descriptive purposes only. Briggs Equipment, North American distributor for Case articulated trucks, track loaders, crawler dozers and loaders, excavators, Yale forklifts, loader/backhoes, tool carriers, motor graders, skid steer and wheel loaders, pavers, compaction equipment, material handlers, demolition tools, and asphalt and concrete equipment, has closed its doors in Florida. Case heavy equipment owners throughout north and central Florida can rest assured that Ring Power parts warehouses have access to the replacement parts they’ll need to keep their construction machines up and running: adjusters, brakes, engines, hoses, batteries, buckets, filters, hydraulics, pumps, blades, cab and chassis, fuel systems, pins and bushings and seal kits, as well as undercarriage, power train, steering and front axle components. Also,Ring Power shops and technicians are equipped to perform repairs and preventive maintenance on most heavy equipment makes and models. In addition to Case construction equipment, Ring Power services skid steer loaders, multi-terrain loaders, compact track loaders,manlifts, aerial lifts, mini hydraulic excavators, wheel loaders, compactors, boom trucks, dump trucks, utility trucks, backhoe loaders and dozers made by Caterpillar, Bobcat, Genie, Terex, JCB, Lull, and other leading manufacturers. Call or email us at any of our locations in north or central Florida to schedule service for your Case construction machine. Ring Power is open for business and we are here to stay! Ring Power, The Cat Rental Store, now offering 0% financing for 36 months, plus up to $2000 credit. Now when you purchase a new qualifying Cat construction equipment, you’ll receive 0% financing for 36 months, plus a credit allowance worth up to $2,000 that you can use toward future heavy equipment parts, machine service or repairs, Work Tool attachments or construction equipment rental transactions, plus much more right here at Ring Power. See how much you could save. Visit, click or call Ring Power, the Cat Rental Store today. Ring Power, The Cat Rental Store, is North and Central Florida's Caterpillar Dealer. Ring Power rents, sells and leases Cat equipment by the day, week, month or longer. We supply the youngest fleet of construction equipment -- the average age of our fleet is less than 18 months. Our competitors' fleets, like Neff, Hertz, United, RSC, Sunbelt, average more than 40 months and in some cases more than 50 months. Other rental houses carry multiple lines of equipment, like Bobcat, Komatsu, John Deere, and Kobelco. Ring Power supplies one brand: Caterpillar. If we have to swap machines, it will be a Cat machine. Unlike the competition that will substitute any brand, which creates operator confusion and lowers productivity. Call any of our 15 locations throughout Florida, including Tallahassee, Jacksonville, St. Augustine, Daytona, Palm Bay, Orlando, Ocala, Sarasota, Tampa, and our newest location, Lakeland. Click here to see a map of all store locations. To receive a map and directions to each office, click on a branch location. Email us for more information on any of our machines or special offers. *Offer good from February 1 to May 31, 2010 on select models at participating dealers. Offer from Ring Power open to customers within North and Central Florida; customers outside these areas contact your local Cat Dealer. Customers in the USA will recieve a credit through Cat AccessAccount for use at participating Cat Dealers. 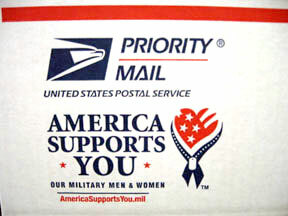 Credits will expire on September 30, 2010; Financing is subject to credit approval through Cat Financial. Goodwin Brothers Construction, located in Brooksville, Fla., specializes in site preparation, mining operations, underground utility and excavation work, and—recently—land surveying. The company also owns a fleet of dump trucks to haul quarry loads to processing centers and reclaimed asphalt to recycling plants. 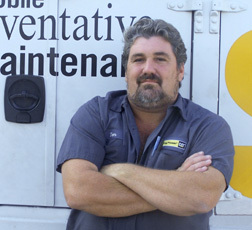 Daniel "Boone" Goodwin, the man behind the company, has relied on superior time management skills and Cat® construction equipment to build a solid reputation for quality work ever since he founded the company in 1987. Goodwin grew up in what is now called Wesley Chapel, Fla. back when about a dozen families lived within a five-mile radius, and began his career in construction in 1966 as a dozer operator for a Lakeland-based company. After 10 years with this company, Goodwin tried relocating to North Carolina but soon realized his dislike of cold weather and snow. Upon his return to Florida a year later, Goodwin took charge of a subcontracting company in the Brooksville area that specialized in stripping overburden. By the mid-eighties Goodwin was doing mining work all over the state from Newberry to Ft. Pierce. Then, during a slow point in 1985, he took advantage of an option to buy out his partner and incorporated Goodwin Brothers Construction two years later. As Goodwin continued to grow the company and adapt to customer’s demands for underground utility and excavation work, Goodwin Brothers continued to expand and upgrade its operational facilities: from residential offices, to a pole-barn on agricultural land, to its present location just across the street from Ring Power’s Brooksville branch on Ponce de Leon Boulevard, where it has remained for the past 12 years. Goodwin’s foresight and self-confidence are evident in the name he chose for his company, which he figured would spare his sons the trouble of having to change the name after he retired. And he was right. 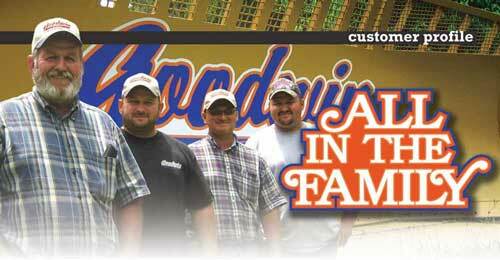 Each of the four Goodwin brothers now manages a different aspect of the family business. Daniel handles the estimates, orders the materials and oversees the day-to-day operations. Eddie oversees the underground utility, site prep and paving projects. David is in charge of the company’s mining projects and Michael and the mechanics keep the company’s entire fleet of equipment and trucks running smoothly. This delegation of responsibilities leaves Goodwin free to enjoy his preferred duty on the job site: operating equipment—especially the paver. Goodwin firmly believes he owes his success to the community that has provided him and his company so many opportunities from the beginning, and he gives back whenever he can. Sometimes by sponsoring little league teams, sometimes by bidding high and often on livestock at the county fair (and giving the bulk of the meat to employees and friends!) Known as a man who still values a handshake, Goodwin is held in high esteem by those with whom his company does business. He lets his company’s reputation speak for itself. "That’s the way you do business; that’s the way I do business. If I tell somebody I’m going to do something, that’s the way it is," said Goodwin. "People that see us working on one job…see the name on the equipment, and want us to come work on another." Goodwin has been a Ring Power customer for three decades, since the Rozier days. He still keeps an eye out for new machines that offer ease of use and superior productivity. As a result, he has amassed a broad variety of equipment over the years, allowing his company to meet whatever challenges they face. His inventory of equipment includes off-road trucks, a 400-series backhoe, a 330 and a 345 excavator, various D3, D5, D6, and D8 tractors, a 950H and a 980 wheel loader and a 12H motor grader. Goodwin also recently purchased an AP600 paver to replace an AP800 because he preferred the extended screed for parking lot work; and a 12M because the company needed a second motor grader. Recognizing that a good name and the respect of your clients and community comes first may not be a new idea, but the commitment to the ideal is something Goodwin Brothers Construction strives to maintain in daily operations. While Goodwin may someday step down, his long-term planning will allow his sons to carry on with the company’s goals—and they won’t even have to change the name on the sign out front. Goodwin Brothers Construction can be reached at 352.796.0149 or goodwinbrosconst@yahoo.com.